Martha Berry thanks Dr. Sheldon from the gifts to Berry and expresses hopes that the school may continue to serve the boys and girls. 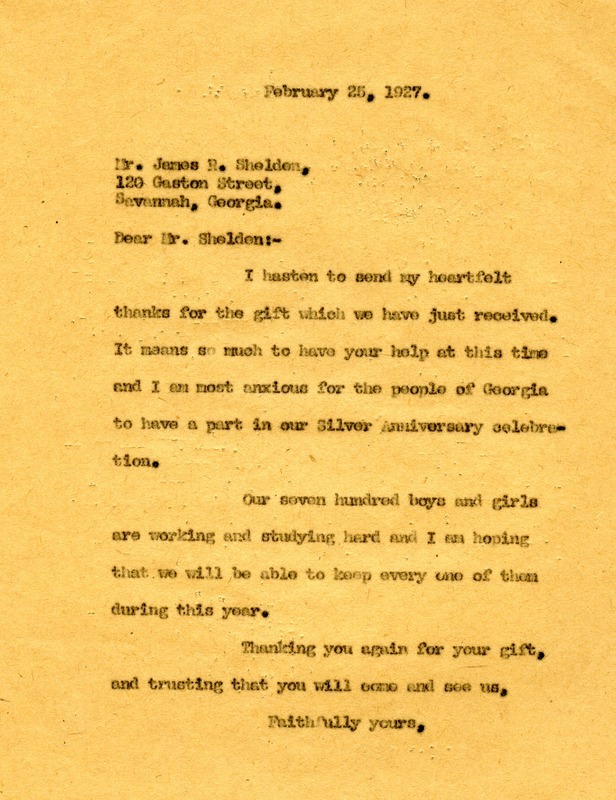 Martha Berry, “Letter from Martha Berry to Dr. James R. Sheldon.” Martha Berry Digital Archive. Eds. Schlitz, Stephanie A., Brooke Culbertson, et al. Mount Berry: Berry College, 2012. accessed April 22, 2019, https://mbda.berry.edu/items/show/6379.